Story Overview: Maddie Chester is determined to leave her hometown of Gansett Island, a place that has brought her only bad memories and ugly rumors. Then she's knocked off her bike on the way to her housekeeping job at McCarthy's Resort Hotel by Gansett's "favorite son", Mac McCarthy. He's back in town to help his father with preparations to sell the family resort and has no intention of staying long. When Mac accidentally sends Maddie flying over the handlebars, badly injuring her, he moves in to nurse her back to health and help care for her young son. 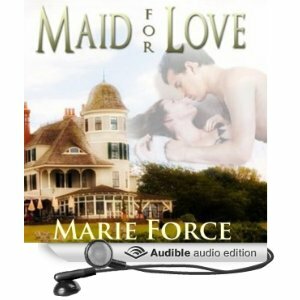 He soon realizes his plans for a hit-and-run visit to the island are in serious jeopardy, and he just may be "maid" for love.